In a hurry this morning — but don’t want to fall behind in my A to Z postings. A ditty has been running through my head since accompanying my father for his echocardiogram. The screen looked similar to ones I knew from pregnancy ultrasounds, but no baby.. 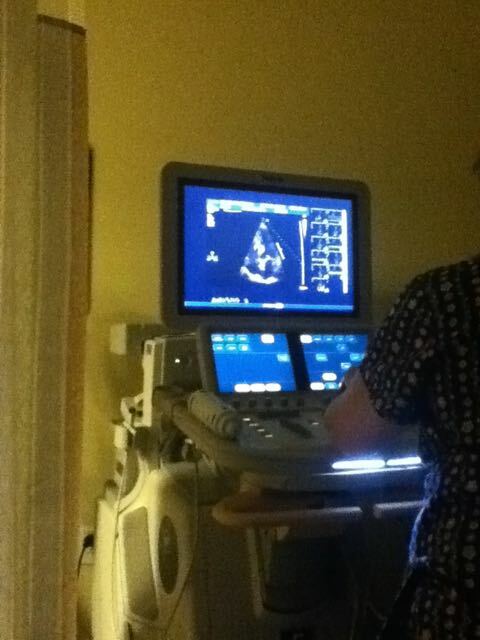 I had written a more thoughtful piece about a visit to the cardiologist several months ago. It was so cheesy that I took it down. You know how to have fun, even with a serious topic. This can be helpful when the stress level is high. which no one else will see…. I’m glad you liked it. I sometimes wish I wrote real poetry, though, not Dr. Seuss-ish.